A list of cheats that are essential for storytelling and machinima. In order to enter a cheat in your game you must press CTRL + SHIFT + C to access the cheat window, then enter the appropriate cheat code (listed below). •	Aging off – ensures your sims don’t age up in the middle of a shot. •	Motherlode – instant injection of 50 000 simoleons to help you build the sets you want. •	MotiveDecay off – keeps them from running to the toilet mid-shot. •	MoveObjects on – so that you can put an object, or a sim, anywhere. •	PlumbBobToggle off – gets rid of that big, shiny, green diamond floating above their heads. •	SetHour 1-24 – sets the time of day, 1 = 1am, 24 = midnight. •	ShowHeadlines off – gets rid of thought and speech bubbles. •	SlowMotion 1-10 – so you can get some slow-mo, 10 is the slowest. •	StretchSkeleton (enter a number) – so that you can make your sims taller or shorter. 1 = normal, 0.5 = half of normal height, 2 = twice normal height, 1.1 = a little taller (by 10%). •	UnlockCareerRewards – so that you can get additional prop items. •	Boolprop TestingCheatsEnabled true – enter this cheat code before the codes below. Also right-click on sim and objects (the letter box) to spawn a number of useful items. •	Boolprop Allow45DegreeAngleOfRotation True – allows objects to be on an angle, press the comma to turn them. •	Boolprop ControlPets – allows you to direct pets. •	Boolprop PetActionCancel – allows you to cancel pet’s actions. •	Boolprop PetsFreewill off – allows you to turn off free will for pets. •	Boolprop SnapObjectsToGrid false – this allows you to place an object anywhere, you are not restricted by the grid. •	Boolprop UseEffects false – gets rid of all headline effects including stereo visual effects, rain, speech bubbles, sleeping zzzzz, and the sky! •	FadeObjects off – objects don’t fade when the camera gets close. •	HideHeadlineEffects on – removes plumbbobs, speech and thought bubbles. •	ResetSim [first name] [last name] – sometimes sims can get stuck, this returns them home. •	SlowMotionViz 0-8 – so you can get some slow-mo, 8 is the slowest. •	UnlockOutfits on – enables use of npc uniforms. •	TestingCheatsEnabled true – enter this cheat code before the codes below. Also right-click on sim and objects (the letter box) to spawn a number of useful actions. Also, press ctrl and click on a moodlet to remove it – this is quite useful to allow your sims to travel again immediately (when you have WA). Drag motives up or down with your mouse. •	BuyDebug on – this allows you to buy all items in the game and expansions eg you don’t have to travel to buy a camera if you have WA. The default cameras that comes with the game can limit your creativity. So with a little alteration to the camera files your inner director can be freed. Remember to save a back-up copy of your original camera files in case you want the default settings restored. By altering this file you can change the way your camera man view operates (when you press the tab key in game). •	Save a copy of this file somewhere as a backup. •	Once you have opened the file scroll down to the section headed – # Free moving first person camera. •	These numbers are values that tell you camera how to operate, you can experiment as much as you like with them by loading up your game, pressing Alt + Tab to minimise your game, changing some numbers, saving the file, then maximising your game again to test your changes. You don’t have to exit your game and reload it. •	Setparam orientationsteps sets the speed in which your camera rotates. A low number such as 1 has it rotate extremely quickly. A high number such as 100 has it rotate slowly. •	setparam translationsteps sets the speed at which your camera moves foward, backward and side to side. A low number makes it move slowly, a high number makes it move quickly. By altering this file you can change the way your camera man view operates in the neghbourhood view (when you press the tab key in game). This can be handy for getting shots of the town/city and for getting background shots when doing greenscreening. •	Once you have opened the file scroll down to the section headed – # Free moving first person camera camera “CameraManNH” CameraMan The NH stands for neighbourhood. •	These numbers are values that tell your camera how to operate, you can experiment as much as you like with them by loading up your game, pressing Alt + Tab to minimise your game, changing some numbers, saving the file, then maximising your game again to test your changes. You don’t have to exit your game and reload it. •	setparam mincameraheight and setparam maxcameraheight are useful values to change as they change how low and how high the camera can go. Setting the mincameraheight to ‘0’ is useful as it means the camera will be on the ground so to speak. Pressing ‘tab’ on your keyboard switches to cameraman view. Move the mouse to change direction and ‘E’ for up, ‘Q’ for down, ‘A’ for left, ‘D’ for right, ‘W’ for forward and ‘S’ for backward. ‘X’ and ‘Z’ are for zoom in and out. Cameraman view should be used most of the time for filming and photography. With this view stairs, trees, lights and other objects stay visible. When you have a favourite camera shot press control and 4,5,6,7,8,or 9 to save it. You can then press that number at any time and the camera will return to that exact postion. You can also line up a tracking shot by postioning your camera and saving it as ‘4’ then moving it to ‘5’ (any number 4-9 will do) the camera will move between these postions. The default camera settings often do not cater for the smooth, slower movements and rotations that one’s creative visions require! Learn how to hack your camera files in the Camera Hack Sims2 Tutorial. Pressing ‘tab’ on your keyboard switches to cameraman view. Move the mouse to change direction and ‘E’ for up, ‘Q’ for down, ‘A’ for left, ‘D’ for right, ‘W’ for forward and ‘S’ for backward. ‘X’ and ‘Z’ are for zoom in and out. You can also use the scroll on your mouse to zoom in and out. Cameraman view should be used most of the time for filming and photography. With this view stairs, trees, lights and other objects stay visible. When you have a favourite camera shot press control and 5,6,7 or 8 to save it. You can then press that number at any time and the camera will return to that exact postion. You can also line up a tracking shot by postioning your camera and saving it as ‘5’ then moving it to ‘6’ (any number 5-8 will do) the camera will move between these postions. 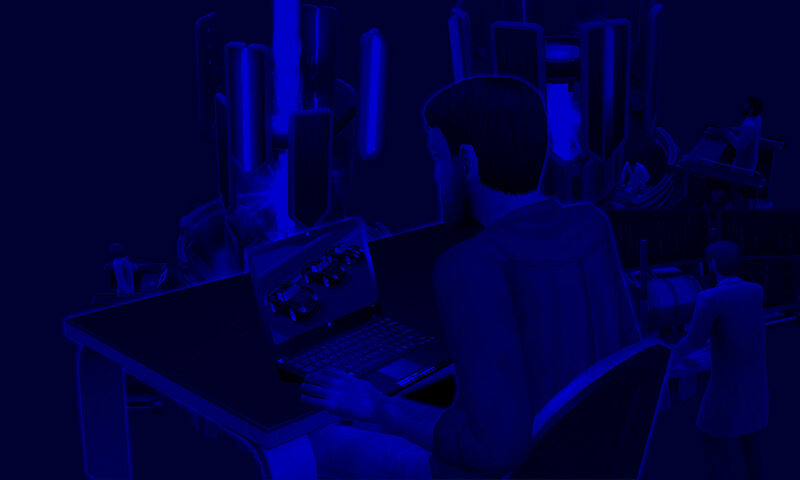 The default camera settings in the sims 3 are more versatile than in the sims 2, but we can still hack them a little. Learn more in the Camera Hack Sims3 Tutorial. Camera angles can cleverly convey more information about your movie or story. High Angle When the camera is looking down on the character/s. This can be used to make a character appear inferior, small or vulnerable. Level shot The camera is level with the character/s. This is a neutral shot and is used most often – it’s good for dialogue and to make the viewer/reader feel comfortable with the characters. Low Angle The camera looks up to the character/s. This can be used to make a character appear superior, large or powerful. Shot sizes are useful to add to your plot or characterization. Movies and stories should have a good variety of shot sizes to add interest for audiences. Close-up The camera is close to a character or object. This is very useful to show a character’s expression, so that their mood can be clearly conveyed. It can also reveal an important detail in your setting, an object that may be crucial to your plot. Mid Shot The camera is at a comfortable distance from the character’s, often with this shot we can see the character/s either in full or from the waist up. It is good for dialogue, when characters are communicating. Long Shot The camera is a long way from the main character/s or set. This enables you to show a complete view of the setting, allowing viewers to see where the action is taking place. Point of View The camera acts as the “eyes” of the character, we see what they see. This can be overused at times. In conventional movies the camera stays still for a majority of shots and movement is used to add drama, mystery or set a mood at particular points in the plot. Movement can also be good for transition between scenes. Some modern films and particularly television ‘cop’ or ‘hospital’ shows have used constant movement in an attempt to add constant drama. However overuse can mean that the effect is lost, and some viewers can even get motion sickness! Zoom The camera zooms in to get a close-up of a character’s expression or a prop detail, the zoom adds to the tension. The camera might zoom out to reveal something else occurring in the set. Pan The camera pans slowly revealing more of a large set. Hand-held The camera is a little shaky to mimic the experience of a hand-held video camera. Tracking The camera tracks along a particular ‘path’ to show a set or where a character is walking. The camera might also track the character so that viewers follow their movement. These numbers are values that tell your camera how to operate, you can experiment as much as you like with them by loading up your game, pressing Alt + Tab to minimise your game, changing some numbers, saving the file, then maximising your game again to test your changes. You don’t have to exit your game and reload it. •	Move – This value controls the speed of the camera’s horizontal movement – the lower the number the slower the speed, the higher the number the quicker the speed of the camera. •	MoveVertical – This value controls the speed of the camera’s vertical movement – the lower the number the slower the speed, the higher the number the quicker the speed of the camera. •	LerpDuration – This is a very handy value that tells the camera how many seconds to move from one point to another. The director can set the points by placing the camera at the desired location and pressing control + a number between 4-8.